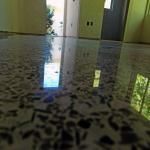 From its origination in Venice Italy people have searched for ways to polish terrazzo floors. Originally, terrazzo was sealed with goat milk, which helped give it a shine. Terrazzo floors were later sanded and polished with corn husks. Of course corn husks could not produce a high shine. 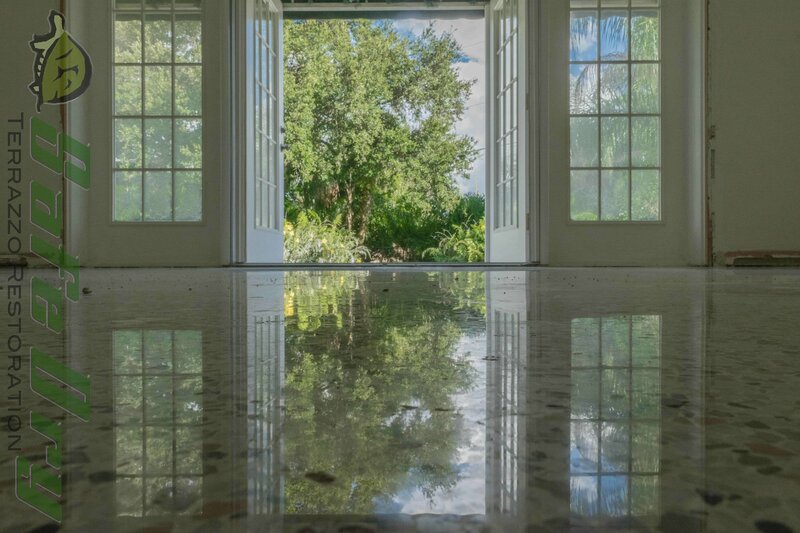 When terrazzo floors started to be installed in the U. S. The floors were ground and a topical sealer of finish was then applied to the floor. This meant the floors needed stripped and a new finish applied quite often. In time they would amber, or darken. Over the years many tired of this routine and covered the floors. Almost every day someone will ask me the question, “Why would anyone ever cover this floor.” Today people recognize the value and beauty of terrazzo. 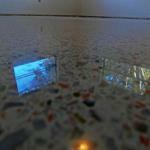 Under normal use a diamond polished terrazzo floor will never need professionally cleaned. 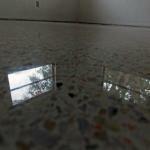 There are many ways to restore terrazzo flooring. For years restoration companies used a buffer and diamond pads. Polishing powders came into vogue several years ago. This allowed service providers to hone and then switch to these powders. Though the floors did not come out as shiny as diamond polishing they were easy to do and it was harder to damage the floor. The final polishing powder for terrazzo and marble maintenance is 5X. 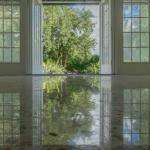 5X uses an acid to get a high shine on terrazzo and marble floors. This shine rarely lasts. The biggest problem with terrazzo is that there are many different kinds of stone. 5X takes a different amount of passes for different stones. To many and you burn the stone. Not enough and the stone will not shine. 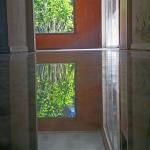 With a mixture of types of marble you will rarely get a great shine on all the stones. Some will not shine at all. Another method is crystallization. Some call this terrazzo restoration method re crystallization, or vitrification. These floors need buffed every one or two years. The biggest problem with this system is that it is used as a shortcut by most companies that use it. Many who use this system have little in the way of equipment and knowledge. They simply try to cheat the floor shiny. 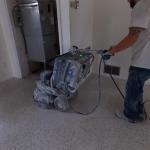 I believe the best method of terrazzo restoration is done with a planetary grinder. At Safe Dry Terrazzo Restoration we use four hundred pound planetary grinders with dry diamonds to get the best shine possible. I use all dry diamonds to remove water damage possibilities. If you look through many pictures on this site you will see floors done with water. Once we developed a system that could outperform wet polishing we never looked back. Now all our floors are done dry. You clean with a neutral cleaner and dust mop often. Put a rug outside and inside every entrance.